Jacob Collier describes his new project, Djesse (Vol. 1), as "maximalism in the name of minimalism." As a singer, arranger, composer, producer and multi-instrumentalist, it should come as no surprise that Jacob Collier comes from a profoundly musical family. His maternal grandparents were both professional violinists, his mother is an accomplished violinist and longtime instructor at the Royal Academy of Music in London and so, naturally, Collier taught himself to play every instrument he could find. Collier can play both the electric and double bass, the drums, guitar, mandolin, bouzouki, autoharp and dulcimer, just to name a few. On his debut album, 2016's In My Room, Collier sang every vocal line, played every instrument and subsequently earned himself two Grammys at the age of 22. Now, Collier's new batch of music has got him thinking bigger. Collier's new, somehow more ambitious project is called Djesse. "What I really wanted to do was to treat the wide world as that room," Collier says. "And when I say the whole world, it really was a matter of flying all over the place to collect all these different collaborators that had been scattered across this album — from Morocco to Japan to Portugal to Los Angeles to New York. And for me, it's brand new, and it's nothing short of thrilling." Djesse is a four-album series, involving collaborators from orchestras, to choirs to drum troops. Collier decided to split the project into four parts to represent four parts of a day. On Djesse (Vol. 1), out now, Collier explores the energy and excitement of daybreak. The album weaves minimalist and extravagant elements to exhibit what Collier does best: Make staggeringly complex music seem effortless. Collier spoke with NPR's Ari Shapiro about taking listeners on a journey, Djesse being referred to his magnum opus and more. Listen to their full conversation at the audio link. Djesse, essentially, is this spirit. It's this sort of character, very much with some childlike energy, which permeates all of this music. ... The first album represents kind of pre-dawn, to that moment at the end of the morning when everything's very much alive. It's a mixture of youth and things being very early and very young, and also the sort of explosion that happens when you begin a journey. It's a matter of using these maximalist elements to tell a story, you know, it's not about trying to tell 500 stories at one time. It's more about thinking, "Well, if I'm gonna tell a story, then I'm gonna need all these different materials" ... And if you look at what goes on within the sort of sessions of these songs in terms of mixing and layering and compress all this stuff, there are so many different tracks. There are some moments in the album where I want to say a lot at once, and sometimes it's about prioritizing things and thinking, "You know what, this is about one specific feeling that I want to capture." I'm not sure. I guess I wouldn't necessarily describe it as a magnum opus, but it certainly is epic, and it certainly is broad and it certainly covers every amount of ground that I can conceive of, at this age. And so, in some ways, I just don't know. But right now, I sort of feel like, in order to get a sense of clarity, I need to collect all of these different seeds that have been weighing on my creative mind for the last three or four years, and kind of put them into the story, and explode them into the world. And then sort of trust myself. I'm a firm believer in the saying that goes, "If you want to make god laugh, tell him your plans," kind of approach. I don't know what I'm going to be doing after this album, but I think that even if nobody was listening to it, I would certainly be creating it because it's something I just have to do. 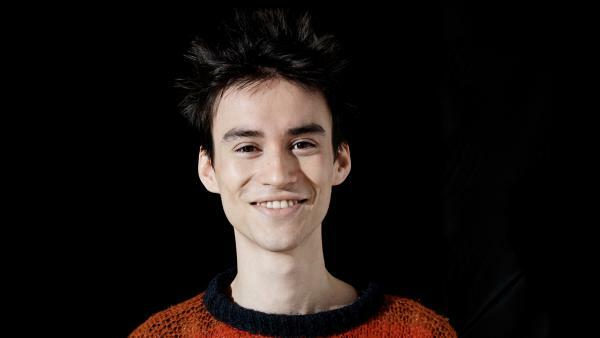 When I sat down to chat with musician Jacob Collier about his latest album, it took a few minutes for us to get a connection between the two studios. And once we got the line working, I had a question. I was just thinking as I was sitting here waiting for the connection to click in, I was wondering, like, what does a musical prodigy do when he's just sitting for, like, five, 10, 15 minutes waiting for something to click in? JACOB COLLIER: It's like working out cross rhythms pretty much. SHAPIRO: Really? Is that what you're doing? COLLIER: It's like how do you do five on one hand and seven on the other? SHAPIRO: Can you do that? Can you drum that out on the table right now? COLLIER: I can, yeah. So five against seven is like this. It goes (drumming). SHAPIRO: So that's one hand doing, like, five beats per measure, the other hand doing seven beats per measure. COLLIER: Exactly, yeah, yeah, yeah. SHAPIRO: If you want to try that at home - good luck. But that's what Collier does best. He makes staggeringly complex music seem effortless. COLLIER: (Singing) He said I need somebody understands my soul, somebody to tell me where to go. SHAPIRO: Jacob Collier taught himself to play every instrument he could find. His debut album, "In My Room," came out two years ago. It was recorded in his childhood bedroom in London. He played every instrument, sang every vocal line and won two Grammys at the age of 22. This new project is much more ambitious. It's a four-album series involving collaborators from orchestras to choirs to drum troupes. COLLIER: What I really wanted to do was to treat the whole wide world as that room. And when I say the whole world, it really was a matter of flying all over the place to collect all these different collaborators that have been sort of scattered across album, from Morocco to Japan to Portugal to Los Angeles to New York. And for me, it's brand-new. And it's nothing short of thrilling. SHAPIRO: The project is called "Djesse" - D-J-E-S-S-E. The first volume is out now. COLLIER: So "Vol. 1" essentially represents the very beginning of this journey. And what was quite helpful to me when planning this album was to split these four albums almost into four equal quarters of the cycle of a day. And so the first album represents kind of predawn to that moment at the end of the morning when everything's very much alive. It's a mixture of youth and things being very early and very young and also the sort of explosion that happens when you begin a journey. SHAPIRO: So the opening track of this album is just these beautiful chords. COLLIER: Yes, indeed. The first track is chord upon chord upon chord. COLLIER: What I wanted to do was to present this kind of image of the way that the world looks when you first open your eyes. You know, it's almost like, you know, you wake up and the world hasn't been created yet. And all of this power and all of this potential is sort of embedded in this time, but you don't know what to expect, you know. And I think that it's very exciting to be in this kind of - this pregnant pause that this moment of kind of suspension. And from there, the whole adventure begins. SHAPIRO: We're going to get orchestras. We're going to get lyrics. We're going to get rhythm. But for now, we just have harmonies. COLLIER: Absolutely. And for me, voices is kind of where everything always begins. But also starting it with voices that aren't mine kind of felt like this exciting step forwards. SHAPIRO: Since on the previous album, everything was yours. COLLIER: So Album 2 then continues from there. It's kind of like early afternoon to evening. Album 3 is the sort of dead of night when all this crazy stuff begins to happen with electronics and weird dreams and stuff like that. And Album 4 is the sort of rebirth of the dawn but having learnt all of this stuff along the way. SHAPIRO: Do you mind being described as a maximalist or is that just the fact of the matter? COLLIER: I don't - I mean, it's a matter of using these maximalist elements to tell a story. You know, it's not about trying to tell 500 stories at one time. It's more about thinking, well, if I'm going to tell a story, then I'm going to need all of these different materials. And if you look at what goes on within the sort of sessions of these songs in terms of mixing and layering and compressing, all this kind of stuff, there are so many different tracks. SHAPIRO: Other people might think of tracks as a song on a CD. You're talking about tracks as in layers of music within a given tune. COLLIER: ...Sixty microphones around the orchestra, and then you might have three orchestras playing at once. And then you might have a choir recorded over here, humming and stamping and clapping recorded over here. And then there's gang vocals this side and guitars this side, electric bass over here. So there's all sorts of different ingredients. SHAPIRO: When you have so many resources at your disposal and so many skills and so many instruments available to you, is it ever difficult to chart your way through a song? I mean, it seems like the challenge of writing a poem when you have an entire dictionary open. COLLIER: Yes. I mean, it's tricky. I think what informs that decision is your sense of narrative, you know. And there are some moments in the album where I want to say a lot at once, but sometimes it's about prioritizing things and thinking, you know what? This is about one specific feeling that I want to capture. SHAPIRO: Give me an example of that. COLLIER: So there's a song on the album called "Ocean Wide, Canyon Deep." COLLIER: This song very much is about stillness. We're just going to sit, and we're going to wallow and we're going to mellow. And we're going to be surrounded by this kind of balm. COLLIER: (Singing) She's ocean wide, canyon deep, from open eyes to twilight sleep. On this song is a very dear friend of mine, Laura Mvula, who's kind of like a massive hero of mine. SHAPIRO: Yeah, she is incredible. COLLIER: And yeah. And once we get into the sort of climax of the song, she's doing these, you know, walls of sounds, which are sort of 80 tracks high. SHAPIRO: You mean you're layering her on top of herself. COLLIER: Yes, exactly, yeah. So you'll have, you know, one chord with eight different notes in it, and then each note is sung 10 times. So it's a really huge sensation to listen to it. MVULA: (Singing) Unspoken words I long to say, we'll save them for another day. SHAPIRO: So even on this minimalist track, you're going maximalist. COLLIER: (Laughter) Exactly. Yeah, absolutely. Maximalism in the name of minimalism. SHAPIRO: This project has been described as your magnum opus, and you're 24. You have a lot of life and career yet ahead of you. So what happens when you've produced your magnum opus in your early 20s? COLLIER: You know, I'm not sure. I guess I wouldn't necessarily describe it as a magnum opus, but it certainly is epic, and it certainly is broad, and it certainly covers every amount of ground that I can conceive of at this age. And so in some ways, I just don't know. But right now, I sort of feel like in order to get a sense of clarity, I need to collect all of these different seeds that have been, you know, weighing on my creative mind for the last three or four years and kind of put them into this story and explode them into the world and then sort of trust myself, you know? I'm a firm believer in the saying that goes, you know, if you want to make God laugh, tell him your plans kind of approach. I don't know what I'm going to be doing after this album, but I think that even if nobody was listening to it, I would certainly be creating it because it's something I just have to do. COLLIER: (Singing) Djesse closed his eyes and sees the rain rise up. SHAPIRO: Well, Jacob Collier, it's been great talking with you. Thank you so much. COLLIER: Thank you so much. Cheers. SHAPIRO: The first volume of his four-album project "Djesse" - that's D-J-E-S-S-E - is out now. COLLIER: (Singing) Djesse close your eyes. Transcript provided by NPR, Copyright NPR.